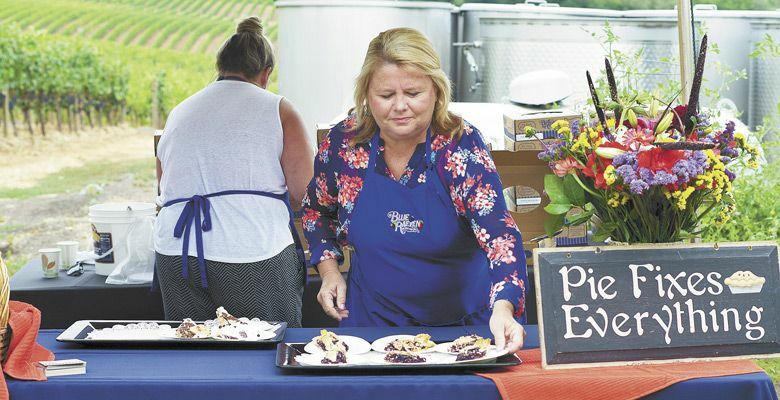 Seated under a tent on the lawn of Sokol Blosser Winery in late August, my husband and I were surrounded: chefs, farmers and vintners, new friends and old. 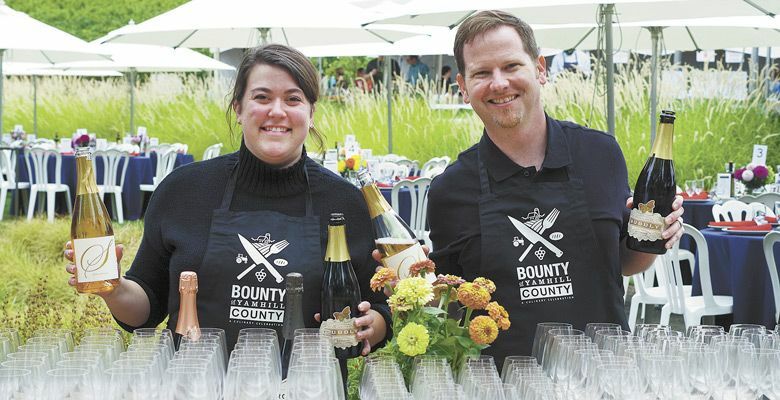 It was our first Big Night, the signature event of Bounty of Yamhill County’s (BOYC) three-day food, wine and agricultural festival. 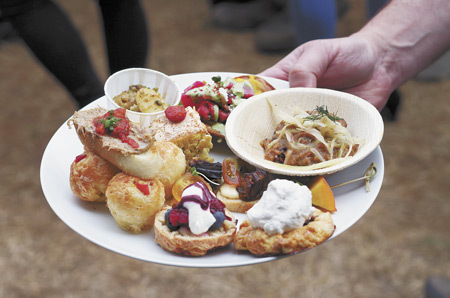 We arrived hungry to this “Trip to Bountiful.” On site, 20 stations of renowned chefs and local farmers, charged with translating farm-to-fork fare with spectacular exhibition of Yamhill County’s agricultural offerings, wowed the delighted crowd. Excitedly pivoting in our seats, we planned our strategy. We ventured to and from our table, again and again, with plates of colorful dishes. Too many favorites to name, but personal standouts included Mediterranean Exploration Co. with Yamhill County Mushrooms; Pura Vida with Oakhill Organics; and Joel Palmer House with lamb from Kookoolan Farms. And pie. All the pies from Blue Raeven Pie and Raevenbrook Farm. Local olive oil from Oregon Olive Mill graced all the tables. Jade Helm is the primary author of Tasting Pour, a blog about wine, cocktails and food. Her expertise is evidenced by credentials from the Society of Wine Educators (Certified Specialist in Wine) and the Wine and Spirits Education Trust (Diploma in Wine and Spirits) and from the Court of Master Sommeliers (Certified Sommelier). Wine industry volunteers served tableside from a BIG list of bottles. Our table’s personal sommelier, Ryan Kelly-Burnett from Dominio IV Winery, kept our glasses flowing with tastes of Sequitur, Winter’s Hill Estate, Winderlea Vineyard and Domaine Drouhin, to name a few. 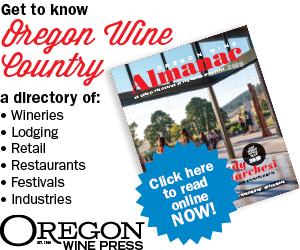 Wineries also donated 600 bottles to the wall of wine; proceeds help fund children’s books for the Yamhill County Imagination Library. 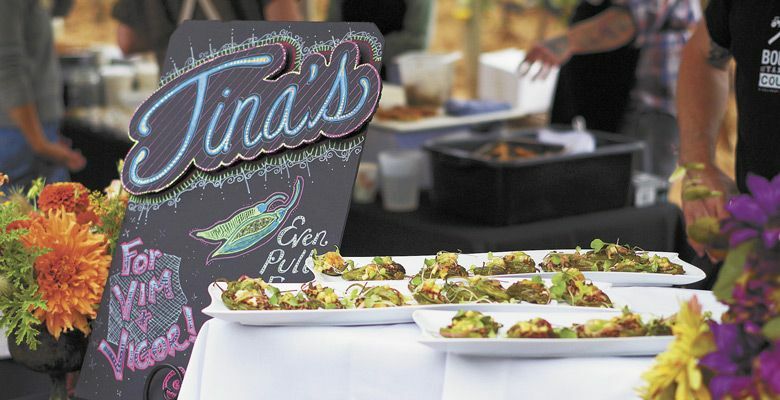 Not just a BIG night to showcase the many offerings of the county, it was a major social gathering. 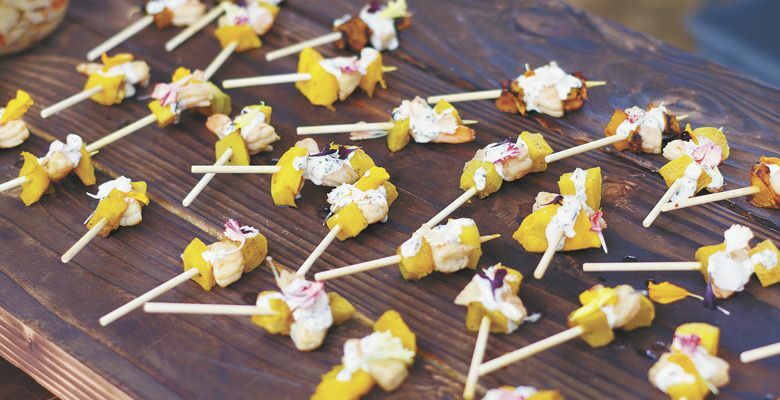 The couple at our table, who attended all six years, says, “It is all the food, wine and people we enjoy most all under one tent.” Christopher Czarnecki of Joel Palmer House comments how special it is to rub elbows with his peers and taste some wine in a relaxed setting. Another couple at our table had moved to McMinnville six days previously and was becoming acquainted with the offerings in a BIG way. 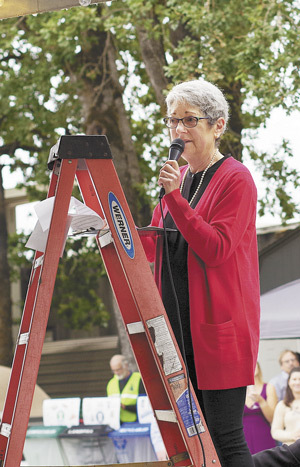 She also thanked community partners, including members of Linfield men’s basketball team who bussed tables. When Sokol Blosser asked the farmers to stand, the “unsung heroes” as she called them, there was a burst of applause. BIG applause. It was a definitely a BIG night and some of us now need BIGGER pants.